Marketing your business has never been easier with an abundance of articles and information permeating the Internet. One aspect that’s regularly ignored is sound, which plays a huge role in our daily lives. Sound isn’t just for events, relaxing at home, or the morning commute. When played in a retail store, music can move customers to spend money and increase or decrease their time shopping at your business. It all depends on whether you choose the right retail store music to fit your customers’ needs and match your brand. Music and sound have an impact on the behavior of shoppers, and it’s up to you to decide how to use it to make sales and your customers happy. According to a recent study from Curtin University, background music influences customers in regards to what to buy, time spent in a store, and spending total. This is the result of specific genres or songs subliminally triggering a person’s memory, which then impacts their behavior. For example, customers can be influenced to pay more for a product when listening to classical music, compared to when other music or no music is played. A University of Cambridge study found that people who listen to classical music are seen as personable and intellectual, and hearing classical music in a store might push them to pay more for products linked to sophistication. 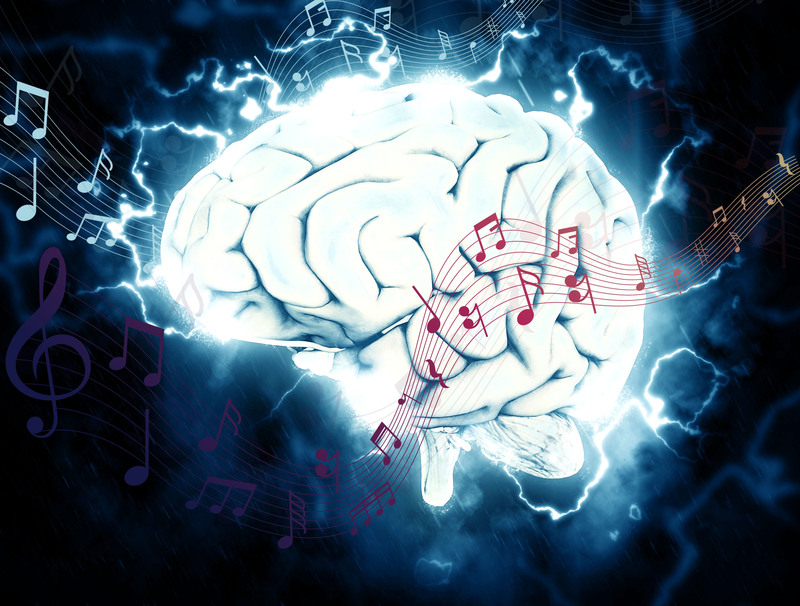 It’s no secret that emotion can be strongly impacted by music – appropriate ambiance can be the deciding factor for a customer when they choose how long to linger in a store, how much to spend, product choice, and whether they’ll become a loyal customer. So, how you would like for your customers to act in your store? SUBSCRIBE TO OUR NEWSLETTER AND GET ALL OF THE LATEST INDUSTRY NEWS AND EXPERT INSIGHTS. Not every retail store plays the same music, and for good reason. Depending on your product, you may want customers to relax or get excited, so play music that sends the message you want to get across. What products do you sell? What does your ideal customer listen to? Answering these questions will help you determine the perfect retail store music playlist. On the other hand, what if you want to prevent criminal activity? It sounds surprising, but even convenience stores are playing classical music to dissuade shoplifters and loiterers. On a more positive note, the American Psychological Association stated that music was the key sensory factor in making impulse purchases. They discovered that shoppers who made a purchase they hadn’t planned on making spent $32.89 more on average when music was playing than impulse shoppers who were not exposed to music. Shopping can be an experience and the perfect retail store music can move a customer to indulge themselves when they otherwise wouldn’t. We've dug more into the topic of increasing sales through audio in your retail space here, for a more in-depth view. According to the Journal of Business Research, subjects reported themselves as shopping longer when exposed to familiar music, but actually shopped longer when exposed to unfamiliar music. As it turns out, shorter shopping times in the familiar music condition were related to increased arousal. And in a report from Soundtrack Your Brand, researchers conducted a field experiment in a department store in the Northwest to study how the choice of background music influenced consumers’ perception of time. Results showed that there were significant differences in how the music made different customer groups perceive time. Customers younger than 25 thought they spent more time in the store during calm instrumental music, while the older consumers instead believed they spent more time in the store when pop music played. When music is unfamiliar, time is experienced as passing at a slower pace. Would your customer be more familiar with jazz, pop, classical, country, or another genre? Would you rather have your customer feel like they’re taking their time or quickly moving through the store? A bit of research into the music preferences of your customers – whether it’s by geography, age, or gender – can go a long way in determining your perfect retail store music mix. WHY INVEST IN PROFESSIONAL INSTALLATION? Put your best foot forward and make sure your technology is always working correctly. 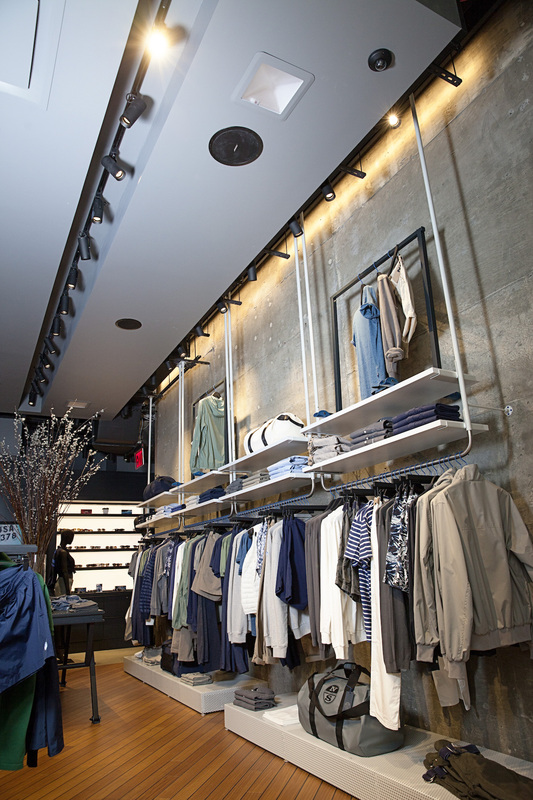 Rather than install your audio equipment on your own, which could eat up time and money, have a professional integrate your retail store equipment and provide support and maintenance to take away the hassle so you can spend more time growing your business. Each business has a brand that sounds different, so you don’t want to play the same retail store music your competitors are playing. Playing music that doesn’t match your brand is worse, potentially driving customers out the door. Professionals can help you create a customized atmosphere using various commercial audio and visual systems that are unique to you. Once you have your retail store music and audio system set up, somewhere down the line you may have a technical issue that needs to be solved as soon as possible. This happens to the most dependable of technologies, and you need a professional audio systems company to have your back. Ongoing maintenance will also prolong the life of your equipment and could prevent a disruption of sales. Choosing what’s best for your system and audio branding can be a challenge. How do you know if you’re buying the best product? Are you setting up your system correctly? Do you know where to go when issues inevitably pop up? Professional technicians take care of all these problems and answer your questions, leaving you much more satisfied with your retail store music and equipment choices. In the long term, this saves you time and money. They offer ongoing support that meets your schedule. They have a history of great performance. They’re willing to discuss customization and can produce a timeline. They offer a review of your audio needs, such as functionality, budget, and space. From a boardroom to the busy sales floor, the PTG customized audio experience gets results. Play music that reinforces your brand throughout your space. Use effective paging systems that pleasantly cut through the chaos. Talk to us about how we can design and install an audio system that’s the right fit and easy to use from day one. Schedule a meeting today!